Restaurant and café featuring luxury and class come from the classic chair designs made from premium teak wood carved by unique handicrafts Jepara with padded lining traditional motifs. Creativity and expertise of experienced sculpture in Jepara allow traditional luxury wooden chair that has a backrest, arm and leg fill interests furniture more characteristic restaurants and cafes. Classic design with artistic traditions handed down from the ancestors gives a typical feel an atmosphere that makes visitors feel at home to continue visiting. 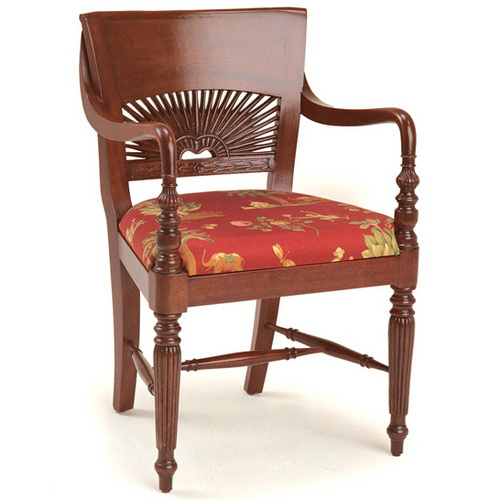 The combination holder of natural wicker wrapped red patterned layer provides a comfortable and functional beauty. Product comes with standard finishing antique natural dark brown permanent graphic displays natural tree fibers. High quality and strength of wood is best among any type of wood. A touch of old-fashioned, but still able to fit all ages, inteiror classic design is the right choice. 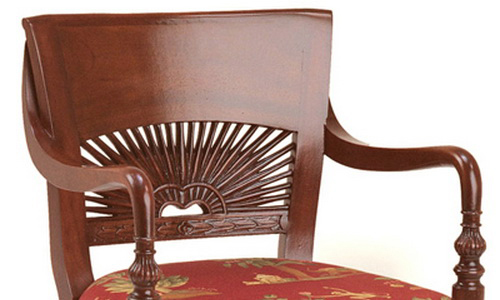 Themed carvings on the backrest and seat of sun light into a curved shoulder favorite design attractive. Length 55 cm, width 65 cm and 90 cm high to show the uniqueness of solid wood that makes decorating touches rightly be charming. The interior is exotic and has a high level of art to bring chairs and dining table items are aligned. Classic chair can be combined with contemporary style table. 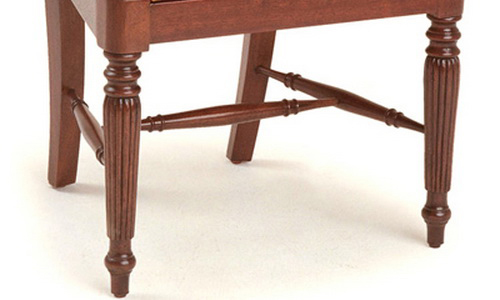 But if it really wants a classic design, carved wooden table is an elegant solution.